Monday, May 30: High Highs ascend at Bardot; Wake Up Lucid sizzles at the Echo. Tuesday, May 31: Seapony plays a Tiger Trap tribute twee jams at the Echo. Thursday, June 2: Army Navy at the Silverlake Lounge; White Hinterland at the Echo. Friday, June 3: Dale Earnhardt Jr. Jr. at the Echo; Little Scream and the Antlers at the El Rey. 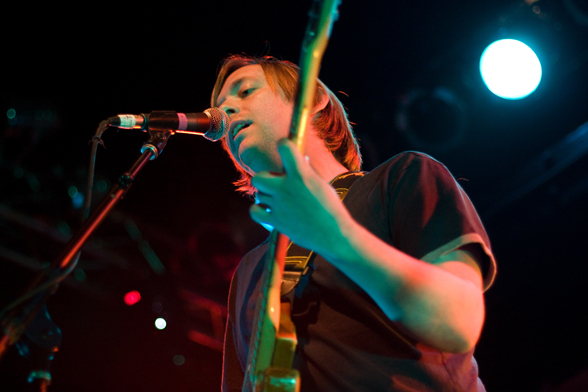 Saturday, June 4: Amor de Dias (Alasdair from the Clientele) at the Satellite. Sunday, June 5: Twee legends Aberdeen and 14 Iced Bears at the Echo; Stornoway and Sea of Bees at the Troubadour.